As part of our continuing series on “How to Open a Trading Card Shop” we want to provide some information on how to sell an item with the highest margins in your shop that has a long shelf life. We took some time to speak to Lynne LePlaca from UltraPRO at a recent trade show and she provided some great insight on the types of products they carry. 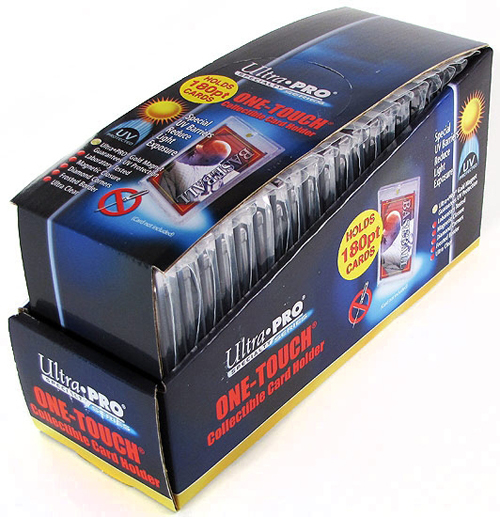 For more information on UltraPRO’s line of products, check out this exclusive interview we did with them previously on the Upper Deck Blog. Caring for and displaying trading cards is very important for collectors. When you run a shop, it is important to provide them a variety of options to do so. Wow, great information. Especially for myself. I am getting ready to retire from the military and this is what I am planning on pursuing. It seems like a ton of work, but I will finally be able to work somewhere that I enjoy it 100%. I couldn’t make it through all the information in one sitting. I will have to come back to finish. Thank you!